Easter at EFM is always a busy time. It started with a service of reflection and meditation on Good Friday. The Passion narrative from Mark's Gospel was read and this was followed by a period of reflection and activity when the congregation were asked to use their artistic skills to create images, models and poetry inspired by the narrative. Our Easter Day tradition started at 9am with a service of Breakfast and Holy Communion. 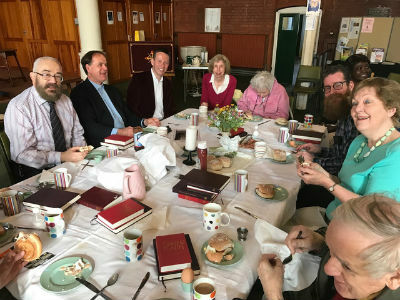 The reading of the visit to the empty tomb from John's gospel was followed by prayer and then a simple agape breakfast. The service was completed with hymns, a reflection, prayer and Holy Communion. 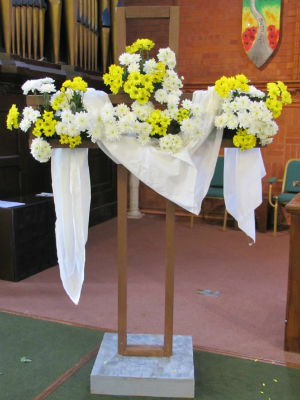 At 10.30 am there was the treat of decorating the cross with flowers to celebrate new birth in Christ Jesus. This is flower arranging by committee as the whole congregation joins in. The Easter Gospel narratives were read (Mark's Gospel) and meditation helped us reflect on the message contained there. Easter is always a busy but rewarding weekend. The Christmas Day service at EFM is always special. Families gather to worship, and celebrate the birth of Jesus before heading off to their own festivities and merriment at home. This year there was the addition of some festive costumes to brighten an already joyous occasion. Fred, Leo, June, EFM elf (in the arms of Revd. 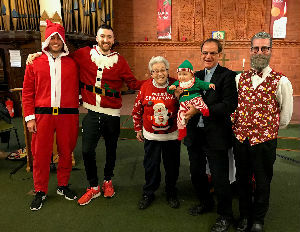 Michael) and Graham showed off their Christmas wardrobe to the delight of all who gathered for the morning service. *'Let earth and heaven combine' Charles Wesley. 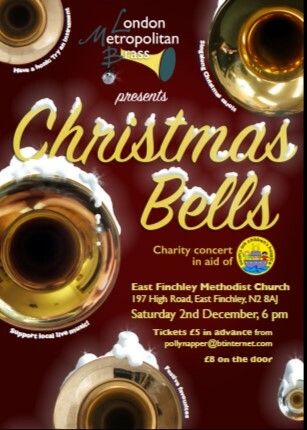 Advent at EFM will get off to a resounding start when London Metropolitan Brass present 'Christmas Bells' at the church on Saturday 2 December at 6 pm. The band are become a welcome and regular feature at EFM and fill the church with music and people. We are promised 'Singalong Christmas Carols', 'Festive Favourites' and even 'Have a honk: Try an Instrument'. This time all the funds raised from the concert will be donated to Noah's Ark Children's Hospice. pollynapper@btinternet.com or £8 at the door. The concerts sell out quickly, so best to book in advance. 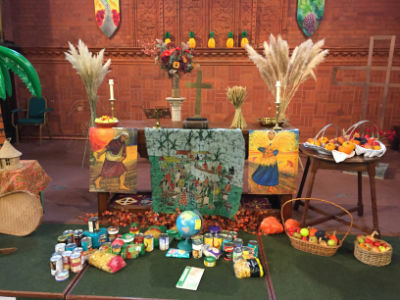 EFM was decorated for our Harvest celebrations this year, which spanned the weekend of 30 September/1 October. On Saturday, Graham and Robert prepared a sumptuous three course meal. 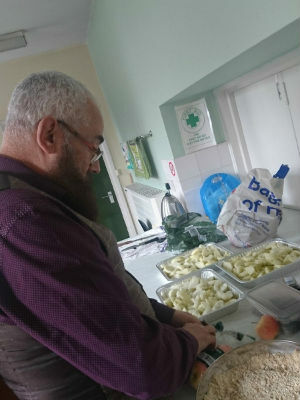 Melon and Parma Ham, Chicken Pesto, green beans and new potatoes and apple crumble & custard were enjoyed by 16 members of the church. On Sunday, the emphasis of our service of thanksgiving was the people of Zimbabwe. We heard from two of the congregation who had travelled to Zimbabwe and one who was born and raised there about experiences there. This year All We Can is raising funds to help the people of Zimbabwe overcome the poverty, hopelessness and injustice they face daily. In addition to funds raised for this cause, gifts of food were brought for Homeless Action in Barnet. On Wednesday 14 June family and friends met at EFM to say goodbye to our oldest church member, Rene Bell, who died on 24 May at the age of 103. 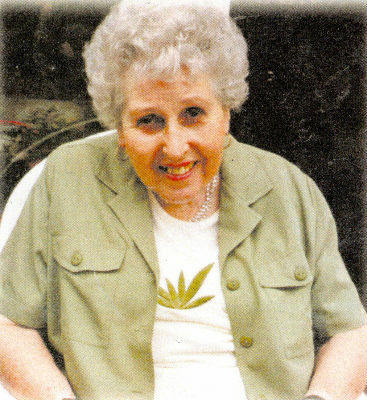 It was a time to celebrate a life well lived in faithful service, patient good humour and grace. All were able to share their memories of Rene, who example had affected so many during the service or at reception afterwards. 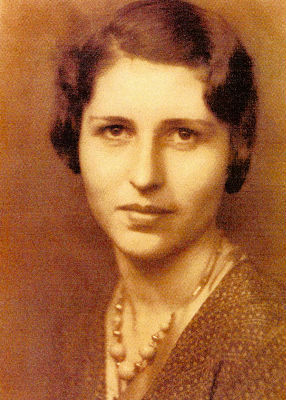 It was clear that she was held in great affection. 1 Corinthians 13 v 13. Easter is the most significant festival in the Christian calendar. The period of Lent is a preparation of seven and a half weeks that culminates in Good Friday, where we mark the sacrifice that Jesus made of himself for our salvation, and Easter, when we celebrate his resurrection; the overthrow of the power death. At EFM we held a service of reflection and meditation on Good Friday. The Passion narrative from Matthew's Gospel was read and this was followed by a period of reflection. 14 modern images of the stations of the cross were displayed around the sanctuary and the congregation were invited to use these as part of their devotions. Easter started early (for some) at 9 am, when we held a service of Breakfast and Holy Communion. The reading of the visit to the empty tomb from Matthew's gospel was followed by prayer and then a simple agape breakfast. 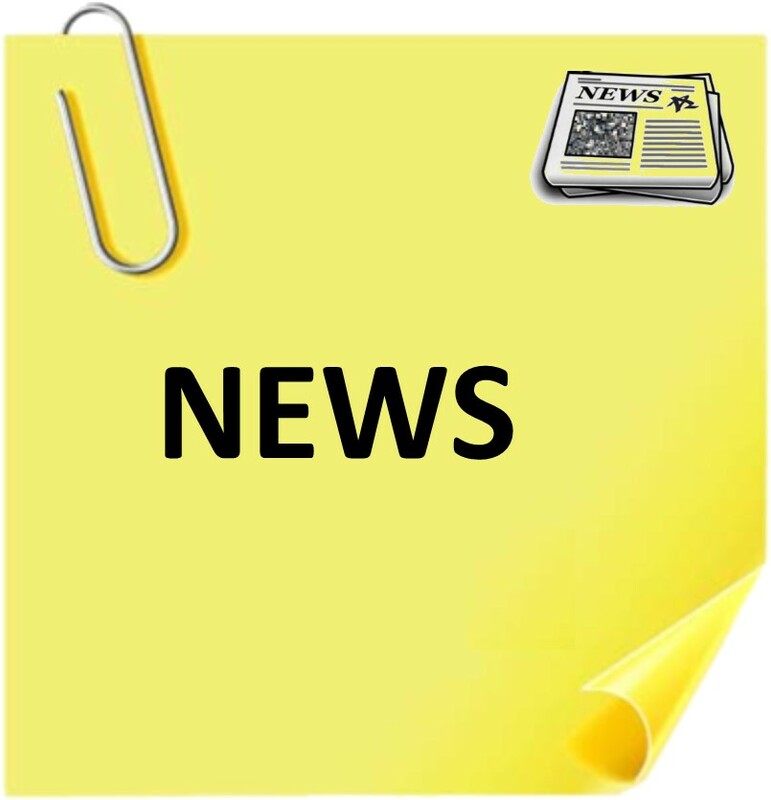 The service was completed with hymns, a short sermon and prayer. 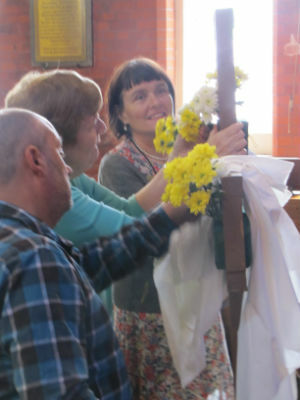 For those attending the 10.30 am there was the double treat of decorating the cross with flowers and a Simnel cake to assist our celebrations. Two of the Easter Gospel narratives were read (Matthew and John) and short play and meditation help us reflect on the messages contained there. It's been a busy weekend but one that has been profound and stimulating. We are about to use a little piece of porcelain history to raise money to help those without a loo of their own. Upwards of 2.4 billion people in the world do not have somewhere safe and hygienic to go to the loo, something we take for granted. 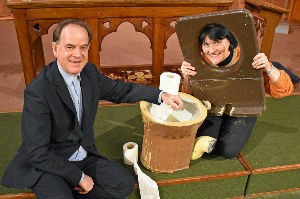 EFM wants to help by buying at least one loo (£60) and ideally a whole school block (£240) to transform and save lives. It’s not just about loos, of course, but also about the supply of clean water and basic sanitation in places where water-borne disease is a constant problem. Whoever makes the biggest donation at a special event on the 22nd April can take the loo home with them but everyone who donates will get a ‘thank you’ photo of the super loo. Even if people can only spend a penny it all helps” Anyone who can’t be there on the night can leave an offer on 0208 444 2016. You can check on toilettwinning.org/what-is-toilet-twinning to find out more. 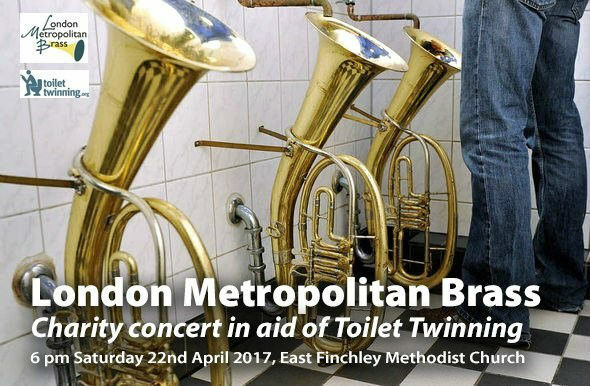 The bidding will take place at the church on Saturday, April 22nd 6pm with entertainment provided by the locally based London Metropolitan Brass Band.